What do I call a Hue, a Shade, a Tone and a Tint in Russian? Hue: any Primary or Secondary color other than white or black, which means Yellow, Orange, Red, Violet, Blue and Green, but can also mean a mixture of those six. Pure black and white do not contain any hue. Tint: a hue with some white color added, but totally no black. Shade: a hue with some black added, but totally no white. Tone: a hue with some gray added, in other words -- a hue with black and white added. 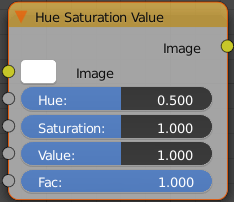 Can have different "value", which likely means "the amount of gray added", but not sure about this word. However, what I am looking for is the Russian translation of those four terms. Multitran translates "hue" as "цвет, оттенок, тон", "tint" as "краска, оттенок, тон, колорит", "tone" as "оттенок, тон", and "shade" as "оттенок, градация", with many unrelated words shown as possible translations for each four of the terms discussed. Context.Reverso basically translates all of them as "оттенок". Russian Wikipedia translates "hue" as "тон"; "tone (color)" redirects to "brightness" in the English Wikipedia, which is translated as "светлота" in the Russian one, and "tone color" (no parenthesis!) redirects to Timbre, translated as "Тембр", "Tint" and "Shade (color)" both redirect to "Tints and shades", having no link to the Russian Wikipedia. All in all, there is no consistency in translating those words. 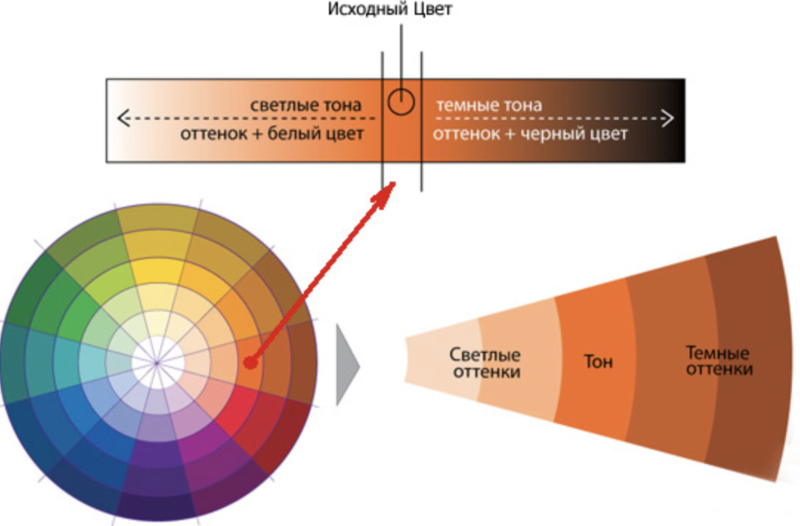 So, what is the correct way to call Hues, Tints, Shades, and Tones in Russian in a way that distinguishes one from another as defined above and makes you sound like someone who understands what is going on? Tint and Shade can be translated as "Осветление" и "Затемнение", you can say also that the color is "темный" or "светлый". But basically, it is adding and subtracting lightning (яркость). If you talking about painting you can say "Разбеление" (Adding white) instead of "Осветление"
Hue - цвет (if you use hue as a more literary word for color) or оттенок (if by hue you mean the distinctive characteristics of a given color that enable it to be assigned a position in the spectrum). Tint - оттенок again. By tint you mean a delicate or pale color or hue, don't you? If you want to be more specific, you may add "нежный" to "оттенок" to emphasize the delicacy. Shade - оттенок again (!). The name of that book "50 Shades of Grey" was translated as "50 Оттенков Серого". How were these expressed in the original Russian of Yevgeny Zamyatin's “We”?